The Tom & John Apartments are located in the small resort of Tsilivi on the island of Zante, just 100 metres from the beach. There are a number of bars, restaurants and shops close to the Tom & John Apartments. Tsilivi is a great choice for couples and families with excellent sandy beaches, shallow waters and first-rate resort amenities. This 3 star Zante apartment complex is 7 miles from the airport, so if you can’t wait to hit the beach, it should only take 15 minutes to transfer to your destination in Tsilivi. Tom & John Apartments offers comfortable accommodation, all with air conditioning, TV, telephone, fully equipped kitchen and a balcony/terrace with sea view. Onsite there is a swimming pool, pool bar, Internet café, games area and a playground for little ones. There is also a supermarket for all your holiday essentials on your Zante holidays. With plenty of warm sunshine, long sandy beaches, clear turquoise waters ideal for diving and snorkeling, fascinating towns, boat trips and excursions, there is just to so much to see and do on a holiday to Zante. Family holidays will enjoy glass-bottomed boat trips, turtle spotting, water parks and horse riding. **Please note:** The Tom & John Apartments do not have a 24 hour reception. Key collection is available from 9am. 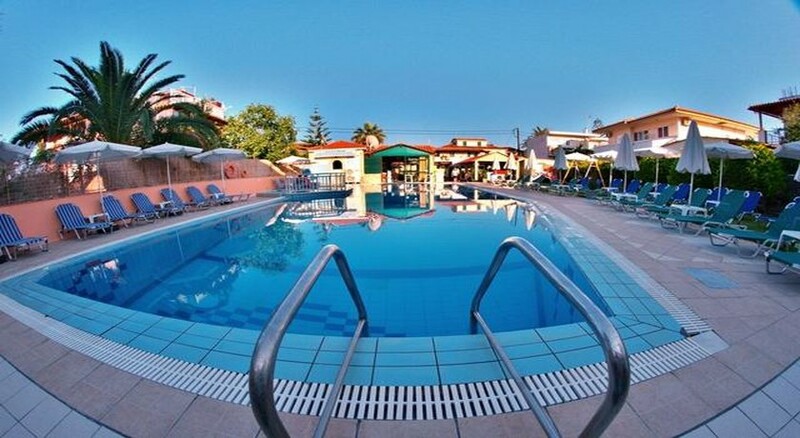 A holiday at the Tom & John Apartments is the right choice for couples and families looking for cheap holidays to Zante with flexible accommodation with close to the beach and the resort centre. The apartments have a Pool bar.